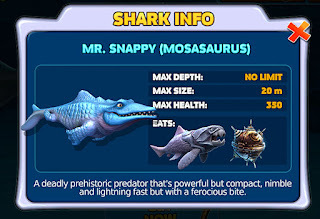 In January 2014, I wrote about How To Be A Megalodon Shark which was about a character in a very popular smartphone game Hungry Shark Evolution. In that posting, I was hoping they would create an arthrodire or mosasaur creature for the game. It was great when they created a Dunkleosteus in late 2014. Now they have created a Mosasaurus creature for the game. It takes quite a bit of virtual gold coins to get this animal and I still have some playing to do in order to get it. 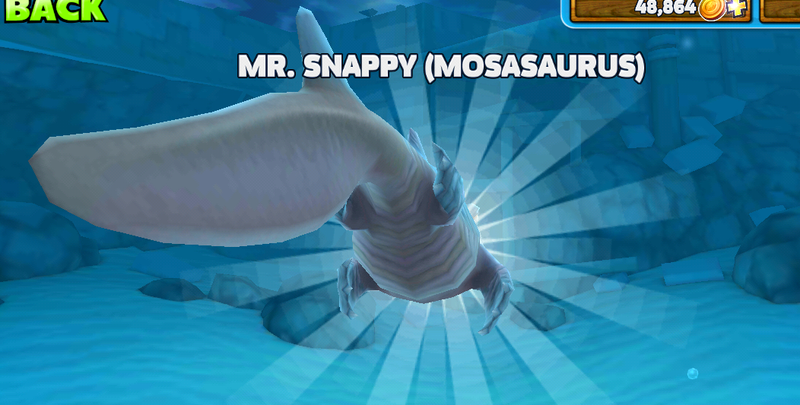 Here are some screen shots of the creature preview in the game. I look forward to playing it as it is smaller than the other two characters thus can navigate the underwater caverns better in the game. 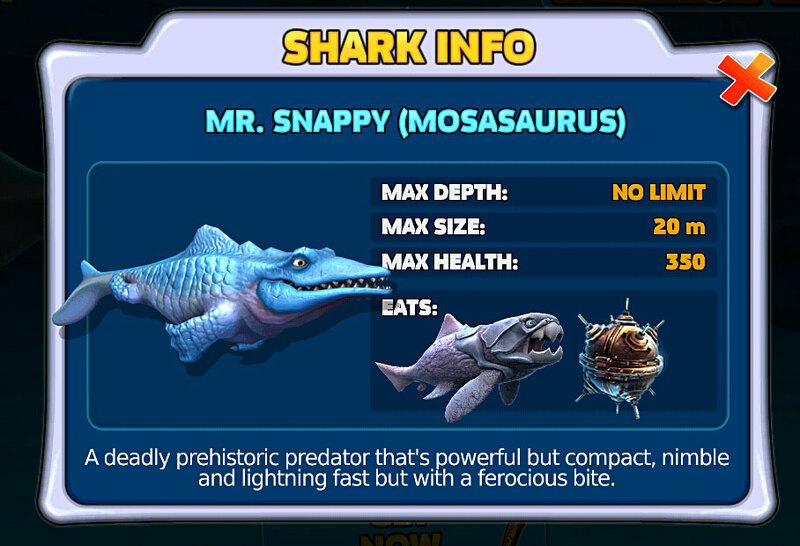 This game is mixing modern fish and sharks with fossil sharks and marine reptiles: mosaurus (Mesozoic Era - Cretaceous Period) Megalodon (Cenozoic Era - Neogene Period) and the Dunkleosteus (Paleozoic Era - Devonian Period). 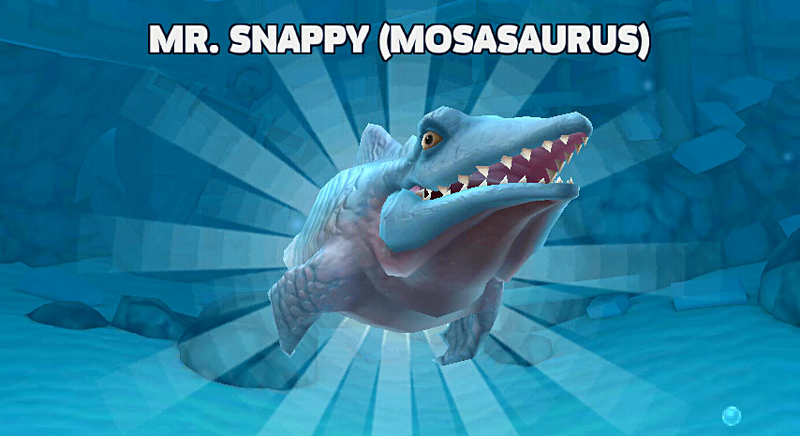 Possible future additions to the creature library for this game could be the Mesozoic ichthyosaur. Since this is a game developed in England the Temnodontosaurus found by Joseph and Mary Anning in 1811-12 in Lyme Regis could be a good choice. Below image of fossil skull of Temnodontosaurus (originally Ichthyosaurus) drawing from wikipedia.org.